A palm civet cat, with a long body, ferret-like face, and white, brown, and black markings. It is standing on a concrete floor with metal fencing creating a large cage around it. The civet never stopped moving, so its head is slightly blurred. 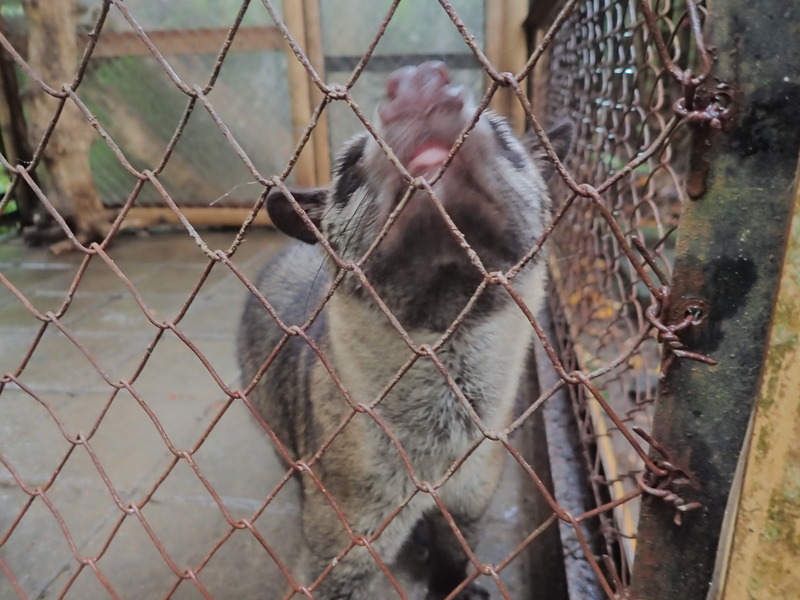 The civet is right up close against the fence, with its nose in the air, clearly sniffing and wiggling.